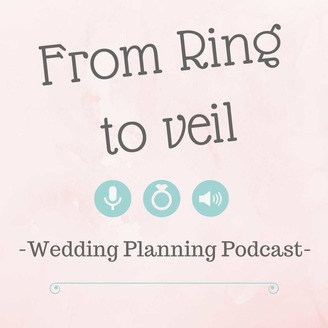 From Ring to Veil is a wedding planning podcast hosted by Shannon Palmer and Kim Mills. 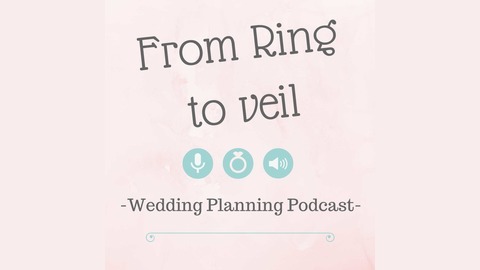 They have years of experience in the wedding industry and the podcast world. Kim and Shannon want to share their knowledge and expertise from flowers and décor to venues and photographers. Together they make the perfect team to bring all sorts of wedding planning tools, tips, and tricks as well as expert information. The knowledge and secrets shared by expert guest hosts make this the perfect place for you to plan with confidence. Putting the fun back into wedding planning. Traditions can be fun, some useless, some even downright appalling. We thought we’d share a few from around the world with you. Who knows you might want to include one or two in your wedding. Mexico: As a Mexican bride and groom are exchanging their vows, the minister drapes a "lazo," or lasso, made of rosary beads and flowers around their shoulders in the shape of a figure eight. Not only does "el lazo" represent the union of the couple, but its shape also resembles the infinity symbol, signifying how long they're hoping the marriage will last. Italy: The night before the wedding, an Italian groom throws a surprise party outside his bride-to-be's window. "La serenata" begins with the groom, backed by musicians, serenading his fiancée, then turns into a full-blown bash, complete with a lavish buffet and all the couple's friends and family. South Korea: As part of the "Falaka" ceremony in South Korea, the groom's friends and family hold him down as they beat the bottoms of his feet with a stick or dried fish. In between beatings, he's asked trivia questions, so the custom is said to help strengthen his memory and his feet. Wales: Back in the day, when a Welshman fell in love and was ready to commit, he carved spoons from wood, called "lovespoons," and gave them to his beloved. Decorations included keys, signifying the key to his heart, and beads, symbolizing the number of children he was hoping for. Peru: In Peruvian weddings, the cake is typically assembled with ribbons attached to charms, one of which is a fake wedding ring. During the reception, all the single women in attendance participate in the "cake pull," each grabbing a ribbon. The single lady who pulls out the fake wedding ring, per tradition, will be the next to get married. Germany: After getting married, couples in Germany are presented with a large log and a saw. By sawing the log in half as a team, it is believed they are proving their ability to work together in overcoming obstacles. Russia: In a gesture of respect, couples in Moscow often take wedding photos at the Tomb of the Unknown Soldier near the Kremlin, then lay down flowers afterward. Norway: Norwegian tradition states that the bride will wear an ornate silver and gold crown that has small charms dangling all around it. When she moves, the tinkling sound is supposed to deflect evil spirits. Guatemala: the parents of Guatemalan grooms can do whatever they want, including smashing things. When the newlyweds arrive, it's a tradition that the groom's mom breaks a white ceramic bell filled with grains like rice and flour to bring prosperity to the couple. French: French brides and grooms traditionally eat chocolate and champagne after the reception. They must consume these treats from a toilet bowl. The point is to give the twosome strength before their wedding night. Egypt: For good luck, Egyptian women pinch the bride on her wedding day. Sweden: A Swedish bride puts a silver coin from her father and a gold coin from her mother in each shoe to ensure that she'll never do without. Morocco: Moroccan women take a milk bath to purify themselves before their wedding ceremony. Holland: a pine tree is planted outside the newlyweds' home as a symbol of fertility and luck. South Africa: The parents of both bride and groom traditionally carried fire from their hearths to light a new fire in the newlyweds' hearth. Iceland: So significant was the drinking and loss of money that in the late 1700s the Icelandic government put a stop to the alcohol-fueled weddings. Celebrations were patrolled and soon weddings were referred to as “bread parties.” Coffee and pastries were enjoyed and the Kransekaka cake became a favorite wedding tradition. Quite different from Anglo wedding desserts, the cake is made of layered pastry wreaths concealing a bottle of wine or a tower of chocolates and candies inside. Austria: The auction of the bridal shoe is very popular in Austria. It helps to fill the newlyweds’ purse. Like at a real auction all wedding guests bid on the shoe. The custom stipulates, however, that the final bid is made by the father, best man or groom. Only with a purchased shoe can he uphold the honor of his daughter or wife. Tune in for big announcement on our next episode #210.